There is a super good news for all fans of the Japanese music. 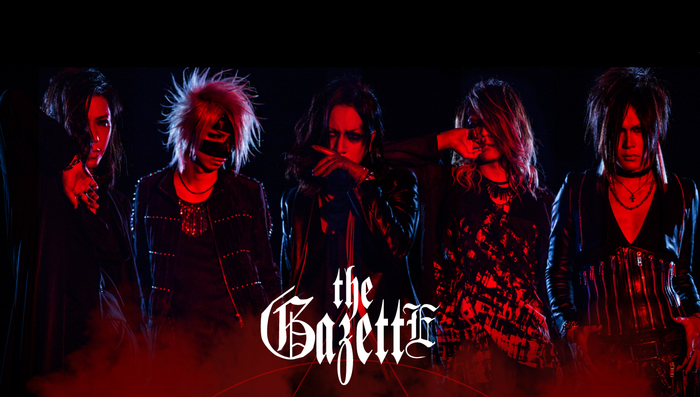 The epic band the GazettE announced a world tour this year. 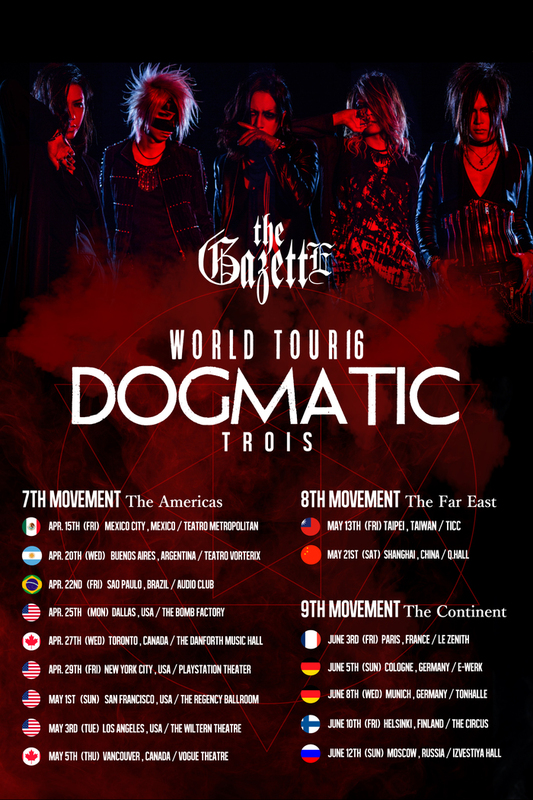 the GazettE World Tour 2016 will consist of 16 performances in 4 different continents – North and South America, Europe and Asia! It’s absolutely going to be a big travel for the band! The tour is devided in 3 movements – for the different continents. 7th movement is for the Americas, 8th – for The Far East and 9th for the Continent – Europe. Check all the confirmed dates bellow! More info about the tickets can be found on the band’s site! The tickets for the shows in Dallas and Los Angeles are already available. 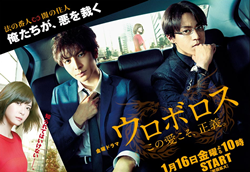 For the other shows in Americas tickets sale will start on 15th January. The tickets for Europe will be available from 11th January. There isn’t any info about the tickets for the shows in Taipei and Shanghai yet, but it will be announced very soon! Have you planned which show to attend? My advice for the fans is to be fast, because we all know how fast the tickets will be sold. Be ready! ← B7 Klan celebrate 10th anniversary!